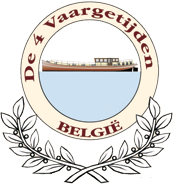 Welcome aboard for the most Burgundian barge-cruise of Belgium! Enjoy that special atmosphere while discovering the rivers and canals, combined with the charm of a cosy hotel with their friendly and attentive hosts. Looking for a perfect balance between activity and tranquillity? You’ve found it! In the Netherlands, France and the United Kingdom waterway cruising is already for a long time a known and loved way to enjoy holidays. Since 1999, it is possible to travel through Belgium as well! There is a booming business in the hire of boats and barges on Europe’s thousands of kilometres of beautiful canals and rivers, and it is no surprise – Belgium, in the heart of Europe, is a free, friendly, and prosperous land, with some of the finest cuisine in Europe, memorable architecture, and shimmering pastoral vistas stretching in virtually every direction. See here the different barge tours, with the descriptions an travel schedules of the different cruises and google maps of the voyages. Photos tell you more than a thousand words. We have collected a few impressions on several of our routes.